For over 25 years pathologists have relied on the consistent quality of Fronine brand stains and solvents in pathology laboratories throughout Australia. With a product range that extends to over 300 individual products, the Fronine brand includes stains and solvents for use in Histology, Microbiology, Haematology, Cytology and Parasitology. Fronine the brand of choice for histology stains in laboratories across Australia offers a comprehensive range of stain formulations to suit individual applications. All Fronine stains are formulated and tested to ensure optimal performance and reproducibility for specific applications when used either manually or with automated staining instrumentation. Fronine's range includes all commonly used Microbiology stains and solutions which are available in a variety of pack sizes to suit your individual needs. Access a complete range of pathology reagents and acids from a single source with Fronine and Thermo Fisher Scientific. Our range of fixatives includes all the standard solutions used by pathologists to preserve biological tissue from decay. By far the most commonly purchased fixative is 10% NBF which is available in a wide variety of pack sizes and containers to suit your individual needs. 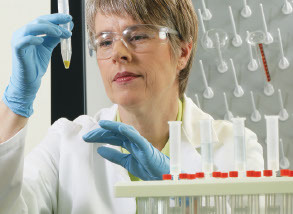 A reliable and consistent supply of quality pathology solvents is imperative to the smooth running of any laboratory. Rely on the quality of Fronine to assist in routine sample processing. For over 30 years scientists have relied on the consistent quality and lot-to-lot reproducibility of Fronine Cytology stains. Our stains are manufactured to exacting standards to ensure optimum quality and performance. The Fronine haematology range includes both routine and specialist stains which are available in powder and liquid form. Stains are produced to exacting quality control standards and designed to ensure reproducible lot-to-lot staining each and every time. In addition to the extensive range of pre-made stains available, we also have a comprehensive range of powder stains so you can prepare your own. Fronine mounting media was specifically developed to provide a choice of mountants to suit the varying needs of pathologists. A selection of immersion oils to increase the resolving power of your microscope. Keep your laboratory environment clean and safe using our range of cleaning and decontamination solutions.